CTC Double Filter ★ Housing Filter Portable Water Purifier System Johor, Kluang, Malaysia supply ★ Azure Purewater Marketing Sdn.Bhd. 0.3 & 0.9 micron filtration. consist of highly compressed ceramic diatom. Stop the propagation of bacteria, germs and viruses. 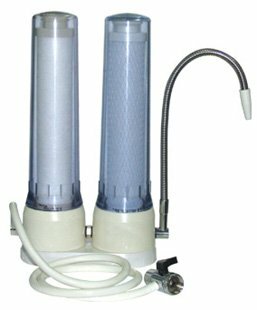 Filtert for dirt, solids and dangerous bacteria such as typhoid, cholera, bilharzia & amoebas. Remove chlorine, THMs, organic chemicals and unpleasant odors and color. The end result is pure, crystal clear mineral water.